8 out of 10 business fail within the first 18 months (source). That’s a shocking number, isn’t it? And after being in business for over a year now, I can see why that statistic is true; there is a lot more to entrepreneurship than creating your own work hours, being your own boss, and following your dream. I learned the hardest, most costly decisions within my first year, so today I’m sharing some of the most common business mistakes that I’ve run into. While many of life’s best-learned lessoned are often learned from personal experience, my hope is that many of these mistakes will help you stay proactive and avoid errors that could be detrimental to your business in the long-run. This has become a recurring issue that I’ve seen, not only in my own business, but in the businesses of my clients and peers, especially those who are just getting started. But before I really dig into this more, I think it’s important to step back and consider the purpose of a business and the one thing that keeps a business afloat: money. While providing a quality service, benefiting others, and working for the greater good might be at the heart of your business, your business can’t run without money. You can’t take your business full-time without making a solid income. You can’t pay your business expenses without money. You can’t support your family or your employees without money. Passion is great, but money is what keeps a business running. So in order to beat that one-year statistic, you have to make decisions with this in mind. This applies first and foremost to your pricing. Pricing your products and your services can be difficult; if you price yourself too high you run the risk of not receiving any inquiries or sales, but if you price yourself too low you don’t make enough to keep your business afloat. I’ve seen more of the latter; entrepreneurs charging low prices, offering too many discounts, and giving away too many free things. All of the above not only lower your profit margin, but they devalue your work and your products. You have to take yourself seriously in order for others to take you seriously, and that starts with valuing your time, experience, and talent. When you’re just starting out in business, it’s natural to look to others for advice, guidance, and wisdom. And while it’s great to seek wisdom from other entrepreneurs, it can be tempting to mimic their ideas and practices. That’s where it gets dangerous, especially for those who want to build a genuine, one-of-a-kind brand and business. Looking to others for inspiration can hinder your creativity and keep you from considering other ways of doing things that might work better for you. So instead of looking to your others for ideas, consider ways to do things differently and differentiate yourself from your competition. When I first announced my branding services, I relied on how I had seen many other designers handle clients, blog, and share their work. It wasn’t until I stopped looking to how my colleagues ran their businesses that my business started to gain momentum. I didn’t enjoy juggling multiple clients at once, so I chose to start working with one client at a time. I saw that projects had the potential to drag on indefinitely, so I narrowed down my project time frame to a 2-week period. Not only did it differentiate Elle & Company from other businesses who offer branding and website design services, but it fit much better with my creative process and my clientele. You wear many hats as a business owner, especially when you’re trying to get your business off the ground. And while doing everything yourself may make sense financially, you run the risk of burning out quickly and stretching yourself thin. Delegating tasks and outsourcing can be a game-changer for your business. This can take many shapes and forms, from hiring a virtual assistant to help with social media and administrative tasks, bringing on an intern to take on simple responsibilities, outsourcing printing or editing to another business, or even recruiting the help of a meal delivery company or cleaning business so that you can spend more time focusing on your work. If you’re struggling to afford any of the above, you might consider raising your prices to accommodate them. Many business owners don’t understand the great marketing potential that’s available to them through blogging. Consistently providing valuable content on a blog not only brings traffic to your site, but it gives your business an opportunity to attract your ideal customers, build trust with them, and turn them into paying clients and customers. 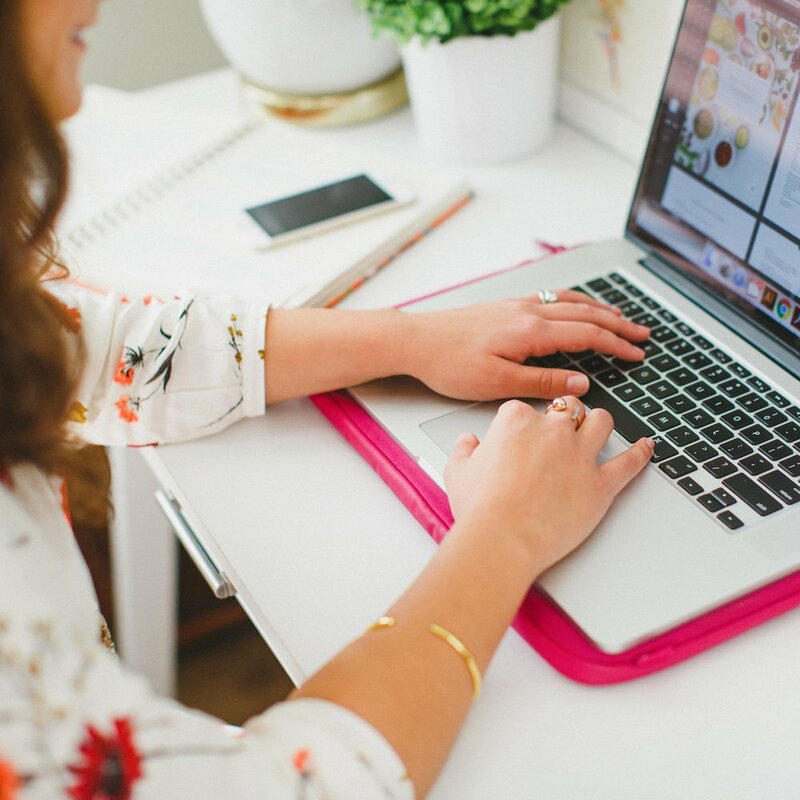 If you’re trying to get your business off the ground and money is tight, blogging is one of the best things you can do for your business. Successful businesses specialize. Successful business owners know that narrowing their focus helps them appeal to a specific audience, which increases bookings and sales. If you’re trying to appeal to everyone, you’ll end up appealing to no one. And if you’re trying to do everything, you’ll succeed at nothing. Instead, zero in on a niche. Start by writing a mission statement and describe the purpose of your business in 1-2 sentences. Consider your ideal customer - their interests, gender, age, occupation, income level - and succinctly explain how your business benefits them. For example, the mission statement of Elle & Company is to be a blogging, business, and design resource for creative entrepreneurs. With each decision that you make for your business, whether it’s a new product launch, design decision, or blog post, measure it against your mission statement. Not only will this help you specialize, but it will provide consistency and intention within your business. Just winging it just won’t cut it in entrepreneurship; a business plan is crucial in order to stay afloat financially and reach your business goals. Many new and seasoned business owners are flying by the seat of their pants, trying to keep their heads above water because they haven’t put time into thinking through and writing out their budget, marketing strategies, and goals. This leads to inconsistencies, confusion among potential customers and clients, and financial stress, all of which could potentially lead to closed doors. If you haven’t taken the time to create a business plan, make time to do so as soon as possible. A little planning goes a long way. It’s always risky putting all of your eggs in one basket, especially when it comes to business marketing. Social media is a fantastic way to reach your ideal audience for free, but the platforms change so rapidly. For example, entrepreneurs who rely on Facebook to reach their audience have seen a rapid decline in the past few months in the percentage of their followers who see their posts. This is due to promoted posts; Facebook wants you to pay to reach your followers. Pinterest has started to follow suit with promoted pins, Twitter ads are becoming more common, and sponsored posts are popping up more frequently on Instagram. 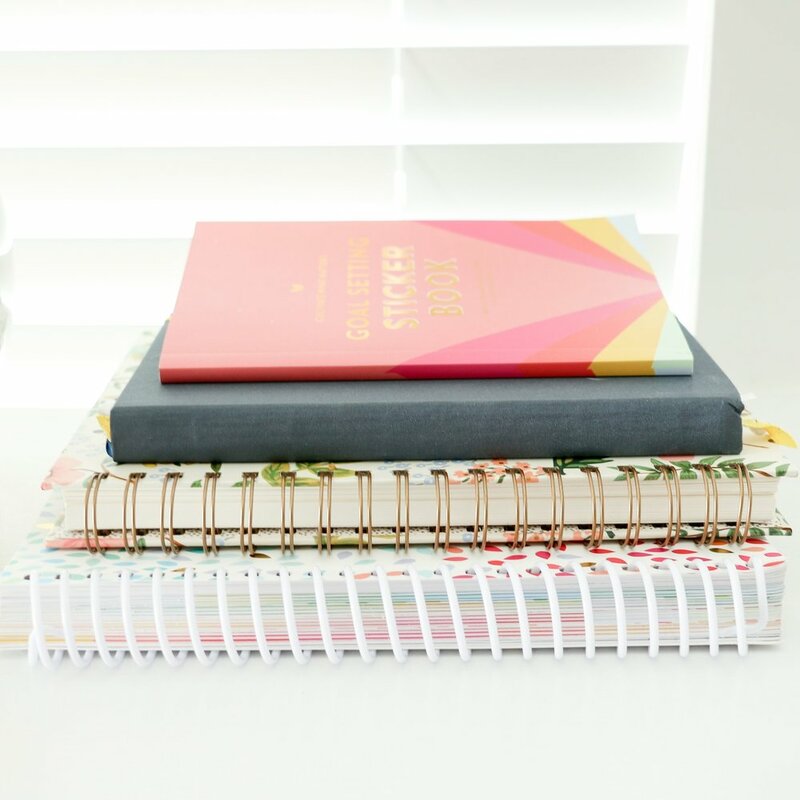 If you’re putting all of your eggs in one basket by focusing most of your effort primarily on one social media platform, you’re putting a lot of faith in the fact that the platform won’t change (this is another reason why blogging is beneficial). To safeguard against this, spread your efforts among a few different platforms that make the most sense for your business. It’s always a good practice to be a student of your industry, so stay up to date on the latest social media trends and consider ways that your business can stay relevant on each platform. I’ve always cringed at the saying, “done is better than perfect,” but I’ve learned that if you wait for the perfect opportunity or solution, you’ll never get started or get anything done. While it’s good to think business decisions through and exercise wisdom, it can be taken too far. Obsessing over every detail can hinder you from getting things done and it wastes one of your most precious commodities as an entrepreneur: time. If you’re a perfectionist and have been known to take forever to make a decision or finish a project, you might consider setting a time limit on tasks or reaching out to someone who can hold you accountable. It’s good to seek the best, but it’s inhibiting if you don’t know when to cut it off. As I said before, time is one of your most precious commodities as a business owner. And because you set your own schedule, you’re able to dictate how your time is spent. If you haven’t created systems and processes for getting tasks done, you aren’t helping yourself make the best use of your time. In order to work efficiently, create a workflow by listing out the steps of your client process, shipping process, blogging process, or whatever your appropriate processes might be. Set office hours and hold to them. Use time blocks within your schedule for getting tasks done. This planning process is different but crucial for each entrepreneur; make it a priority to come up with a workflow that works best for you. Money keeps your business afloat. It allows you to pursue the goals you have for your business and provide for yourself and your family. In order to maintain a successful business, you have to be concerned with how you’re making and spending money. If you aren’t being diligent and staying on top of the numbers, you could be setting your business up for failure. Before you launch a product, calculate how much profit you’ll gain from the sale of the item. Each time you offer a sale or a discount, calculate how it will affect your profit margin. You also need to figure in how much money you should be setting aside for taxes, social security, etc. (our accountant advised us to be setting aside 40% of our profits for Elle & Company - that’s almost half of everything we earn!). Guessing games are dangerous; crunch the numbers and count the pennies. Some of my favorite projects and portfolio items have come through an unexpected client that stretched my creativity and forced me to think outside of the box. If someone is excited to work with you and they’re willing to pay the full cost of your services, don’t turn them down. This should be the case regardless of whether you’ve been in business for 5 weeks or 5 years; you can’t judge a book by its cover. Entrepreneur contributor and consultant, Steve Tobak, wrote a fantastic article on this topic a few months ago. He summed it up with this quote. Sometimes the best business decision you can make is to let an offering or service go. As I mentioned in #11, business can be personal, and products and offerings usually have a lot of time and effort wrapped up in them. Optimism about your business is a good thing until it hinders you from making wise business decisions; sometimes it’s necessary to call it quits when a product or service isn’t bringing in a profit. In the Silicon Valley, where there’s a new start-up company on every corner, they have a popular saying, “fail fast.” Save yourself time, energy, and money by getting rid of the things that aren’t working for your business. Think of it as a refining process and an opportunity to come up with something better that’s more beneficial for your audience and generates more revenue. I remember making a comment to Jake a few months ago along the lines of, “I can’t wait for the day when business just levels out.” He looked at me with an incredulous look on his face, “Lauren, the day that Elle & Company levels out is the day that it dies.” And he’s right. I continue to learn more and more that in order to have a successful business, you have to stay driven and continue to learn about the changes in your industry. If you don’t have the competitive drive to be the best at your craft, it’s going to be harder to be successful in business. Are you making any of these mistakes? Not to worry. I listed these errors because I’ve made them myself in some way or another. My hope is that this post will have you thinking better and smarter about your business and encourage you to troubleshoot problems before they negatively impact your business. What are some of the biggest mistakes you’ve made in your business? What would you add to this list?